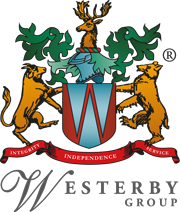 Couples who choose to cohabit should seek independent financial advice, according to Leicester-based Westerby Group, as the most popular day to marry falls this weekend (Saturday 18). Saturday 18 August 2018 has been reported as the most common day to wed in the UK. However, since the early 1970s, the number of people getting married has steadily decreased, dropping a further 3.4% last year. There are many theories about why marriage rates are falling, but the fact remains that fewer people are formalising their relationship.